Whether you’re working through a tool RFP or RFQ or familiarizing yourself with enterprise architecture tools, the table below is designed to provide a useful overview of some of the key features, capabilities and missions supported by leading enterprise architecture tool, ABACUS. Modeling current and future state architectures, with all viewpoints, is a core capability for architecture disciplines, including Enterprise Architecture, Solution Architecture and Data Architecture. ABACUS is the result of 20+ years of research and development, commercial validation, and analyst insight. Modeling and roadmapping can be tailored to your industry, methods and stakeholders. Check if tools support all frameworks you need now and in the future. Are framework modifications or additions able to be done in-house or will this incur additional costs? Do you require more than ‘As-Is’ architectures? Can copies of projects be contextually linked to the baseline? What viewpoints are needed and can you customize these? Check if modeling is restricted to a framework or vendor style. Are additional modeling types included or at a cost to the customer? Check if roadmapping is limited to framework or vendor-prescribed solutions. What styles are available: eg. color-mapping and timeline-based approaches? ABACUS gives users the power to define, customize and manage architecture models to fit their business. Avoid being dependent on costly vendor customizations, or rigid frameworks and generic industry and domain artifacts which can’t be adjusted in-house by the architecture team. Enterprise architecture tools need to be extensive, parameter-driven and flexible, allowing organizations to collate information into a single source of truth and share data with management, operations, and technical departments. ABACUS interfaces with other tools and presentation applications via adapters that enable data to be sent and received. A readable and writable RESTful API, allows stakeholders to benefit from EA via their preferred native applications. Enterprise architecture is more than just creating models and portfolios. Providing insight which is interactive, highlights impacts and support multiple scenarios for both business and IT stakeholders is crucial to delivering value. ABACUS excels in the presentation and delivery of signature-ready proposals, timely information, and providing guidance to key stakeholders. Do you need dashboards which are configurable for roles, frameworks, stakeholders, etc? Continuous feedback loops are essential to successful enterprise architecture practices. Being able to cohesively develop insights across teams and ensure access to relevant data and systems are easy to navigate and maintain is essential. In ABACUS data owners across the business can collaborate on and co-author data via secure browser-editable lists and catalogs. Alert key stakeholders to changes and present strategic advice. Check if the EA team needs to handle updates. Are data entry options limited to specific field inputs or feedback loops? Check how data is updated and how clean data entry is achieved. Does the EA team need to process data updates themselves from review notes? Browsing of the repository in-app and via secure websites with role-based permissions screening eliminating need for obfuscation via duplicated views. Do you have one, a few, or multiple EAs who need to collaborate with stakeholders in various departments and global regions? Understanding current business landscapes using data and metrics, and generating reliable future state scenarios is core to business success. ABACUS supports this with powerful analytics and scenario analysis features. Architects and strategy managers can undertake gap analysis, trace impacts and relationships, test future state architecture designs, and guide businesses forward. 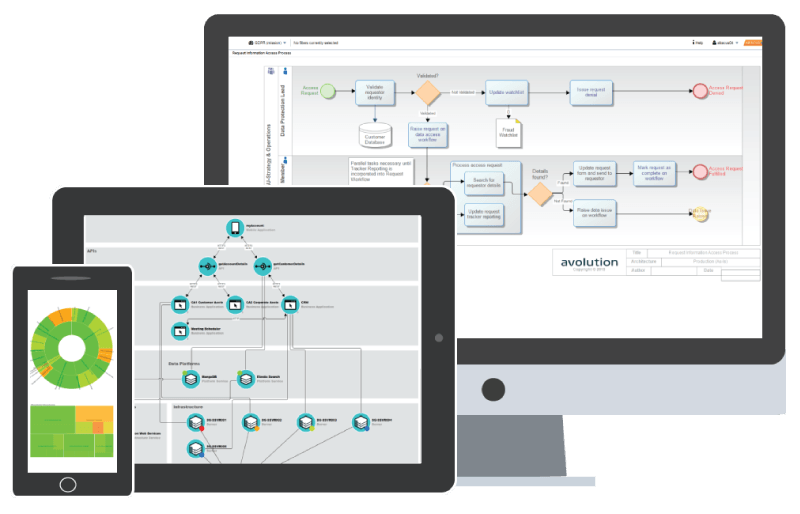 Do you require whole-of-architecture analytics, in-depth modeling, and scenario analysis? Tools for enterprise architecture come from a variety of backgrounds, ranging in functionality and maturity. ABACUS includes key features which are essential for successful enterprise architecture. These include user and view configuration, powerful repository search, and guidance for contributors, collaborators, and consumers of business insights. Every organization is different and every user has different access requirements. ABACUS can be deployed on-premise, via secure hosted cloud or both, giving users access from their preferred OS and browser anywhere in the world. ABACUS is a fully supported platform built to deliver value for enterprise architects and organizations. With programs designed to get teams up to speed quickly using their own business data, extensive training options for various users, and resources covering technical and scenario-driven aspects, teams can achieve quick time-to-value.